After being an Xbox One exclusive for all of five minutes, Rise of the Tomb Raider is finally making its way to PC. As the follow-up to the popular 2013 reboot, it certainly had a lot to live up to. Back when it originally launched, Steven quite liked it for its few new features, but found it to be simply more of the same stuff we've seen before. But how does the new PC port hold up? While it's by no means the worst port to have ever happened, there are a few inexcusable problems that might be deal-breakers for some until they're hopefully fixed. Rig: Intel i7-4790k 4GHz 4-core processor, 16GB of RAM (2x Corsair Vengeance 8GB DDR3), GTX 980. Windows 10 Pro 64-bit. Framerate measured with Steam. Game played at the “Very high” preset, with anti-aliasing and ambient occlusion slightly lowered. [Update: Due to playing a pre-release build, I did not have access to Nvidia's Game Ready Drivers while writing this. I can now confirm that installing the Game Ready Drivers that were released today (January 27) did not fix the problems I discuss below. The options menu is comprehensive, with menus both inside and outside of the game. Rise supports up to 4K resolutions for those with a PC strong enough to run it, which is a decent boost from Xbox One's native 1080p. The options include all of the usuals you’d expect in a decent PC port, such v-sync, anti-aliasing, and ambient occlusion. Full key rebinding is also available, with the ability to set both a primary and secondary key for every action. You’re not exactly spoiled for choice when it comes to anti-aliasing options, with only four options that might end up not being the most efficient for your graphics card. Being able to force your preferred style of anti-aliasing in the graphics card control panel means this isn’t a huge problem, but I would’ve liked more in-game settings. I also appreciate the existence of a few quality-of-life settings that I've I’ve never seen in other games before. They’re not huge additions: simple stuff like each character having their own subtitle colour and full support for Razer Chroma hardware, but I like that they’re there. Weirdly there aren’t any colour blind options, though, which would have been useful for some players considering how the game relies upon discerning different shades of the same colour for navigation. Visually, Rise is gorgeous. The textures are insanely crisp and detailed, and even when I rammed the camera right up against a wall I struggled to see much blurring. The lighting effects are also wonderful, and really add to the atmosphere of the many tombs and caves Lara has to jump through. I thought 2013's Tomb Raider was pretty, but when you pump Rise up to the maximum settings it really is a visual treat... if you can get it to run properly. As far as the port goes, that’s unfortunately where the positives end. Playing it with keyboard and mouse is a mixed bag. While aiming and shooting feel nice and responsive, movement is slow, sluggish, and generally difficult to control. Climbing was the biggest challenge, as I’d often find Lara leaping to her death or in a direction I wasn’t even pressing. I heavily recommend you use a gamepad if you can, as standard PC controls can be quite a nightmare in the more fiddly portions. That's peanuts, though, compared to the biggest problem with Rise of the Tomb Raider’s port: the numerous, terrible, and sometimes even game-breaking performance issues. It’s worth noting that I have a new, beefy PC that is way above the already fairly high minimum requirements, and yet I still suffered from inconsistent framerates and memory usage problems that made playing Rise a chore. At some points, I was able to enjoy a solid, smooth, and stutter-free 60FPS, but then only a minute later my game would be dragged down to a low of 20FPS for seemingly no reason. For example, a very chaotic set-piece with lots of explosions, snow, and flying debris had a totally stable 60FP, but then I was lucky to get 25 in the small, dark, undetailed cave that immediately followed it. I’ve even gone to an area running at 60FPS, briefly ducked into a cave, only to come back out in the exact same place and find the game was now running at 40FPS instead. Even putting the game on the lowest possible graphics quality settings didn't help, which makes me think this probably will affect everyone regardless of the strength of their rig. I’m not a programmer, and so I can't conclusively identify the cause, but I think it might have something to do with the game’s fairly significant memory usage problems. Sometimes it was using upwards of 6GB RAM, even in relatively quiet and simple areas. This is the only game I have ever had crash due to my PC running out of memory, and on 16GB of brand new RAM and a new video card with 4GB VRAM, that shouldn’t be happening. It especially shouldn’t be happening after only about an hour of play. I don't want to definitively say this is a memory leak, but it sure as hell feels like one. 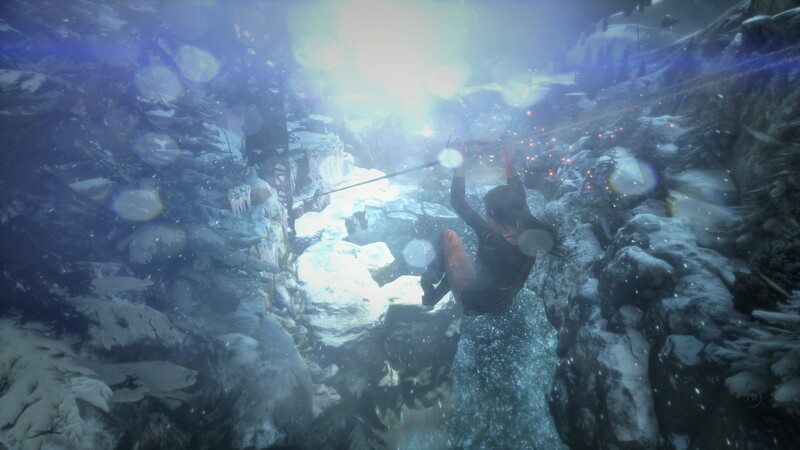 Overall, Rise of the Tomb Raider’s port is a strange one. It has all the hallmarks of a good job: lots of graphics options and it supports both a higher framerate and resolution than its console counterpart. It’s such a shame that those positives are then dragged down by numerous, unacceptable performance issues, even for PCs much higher than the minimum spec. If my brand new, high-end PC is having trouble running this game smoothly, I dread to think how it affects those who are closer to the minimum requirements. I have to admit, I wasn’t wowed by 2013’s Tomb Raider. On its own, it was a pretty good game. 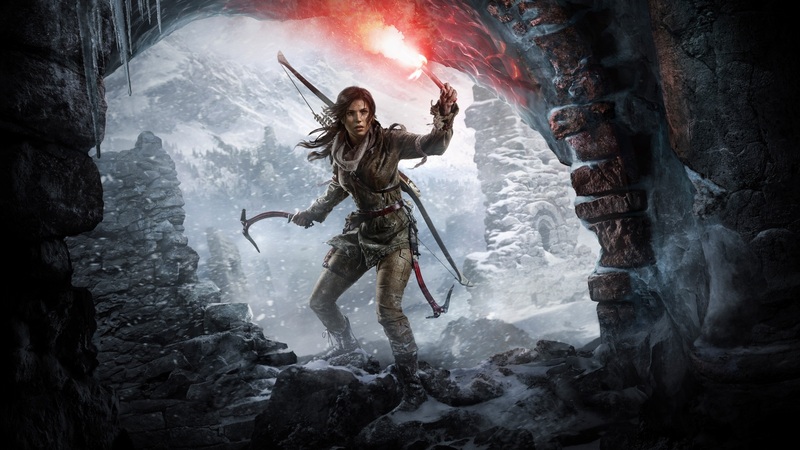 It had stunning visuals, exciting set-pieces, and great exploration, but it didn't feel like a Tomb Raider game. 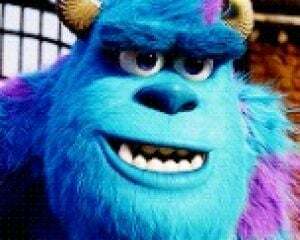 I felt that Square had pulled out the campy, trap-avoiding, dinosaur-shooting heart of the previous games, and replaced it with a generic, edgy, and sometimes borderline sadistic husk. Fortunately, Rise of the Tomb Raider feels like a great midpoint between the solid game design of 2013 and the campy, silly fun of the original games. It has a sinister organisation racing for a powerful ancient artifact, and it’s up to you, badass archaeologist Lara Croft, to beat them to the punch. If every animal in the area hasn’t become an endangered species by the time you’re done, you’ve been playing the game wrong. Mechanically there doesn’t seem to be much of a difference between Rise and its predecessor. It’s still essentially Uncharted by way of Bear Grylls, but those mechanics are put to much better use in Rise, and you're given far more varied locations to play in. 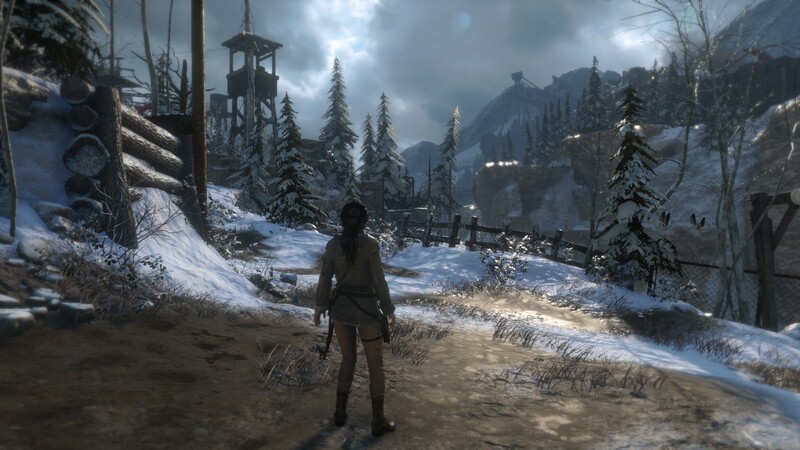 Whereas Tomb Raider 2013 rarely deviated from its green island setting, within the first hour of Rise you’ve been to a wintery cliff face, a vast network of desert ruins, and then eventually dropped into the forests of Siberia. And there are tombs! Actual, honest-to-God tombs that you can raid! 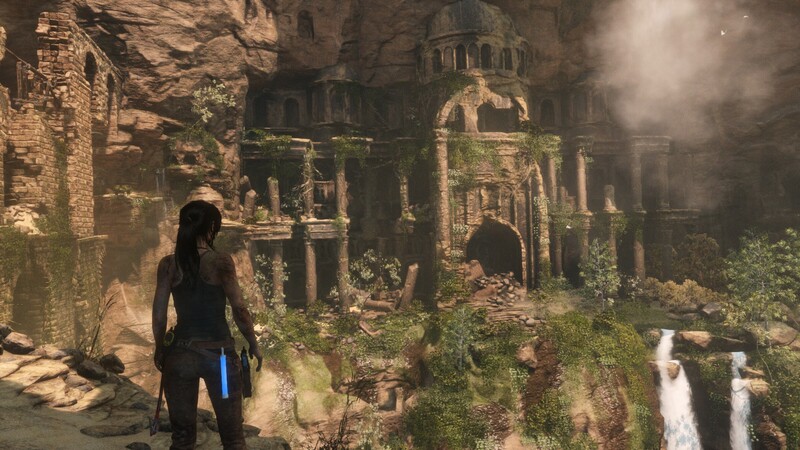 In the previous game, tombs were rare as hell, and when they did finally show up they didn’t amount to much more than a single room with a simple puzzle. In Rise, not only are there are far more optional tombs to explore, they're well designed, lengthy, and actually worth doing. Exploring the world feels much more satisfying when you know the stuff you're going to find isn't unmitigated arse for a change. While I agree with Steven that Rise of the Tomb Raider is basically more of the same, it does feel a lot more confident in its execution. 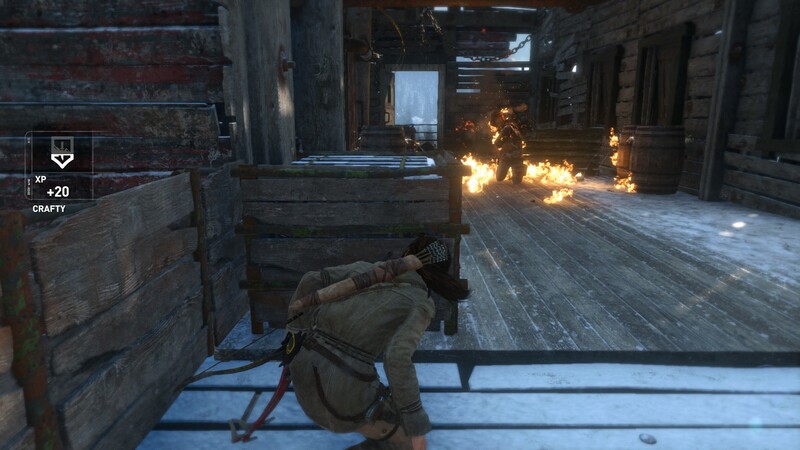 The story and dialogue aren’t afraid to ham things up, Lara is finally a decent character, and there’s a much greater variety of locales to explore. Nice job, Crystal Dynamics. You've successfully got me back into a series that I've been turned off from since Legends. Here's hoping you're able to fix the port-specific problems soon.